Video Tags are one of the most important factors when it comes to discoverability. The Youtube Algorithm utilizes tags to appropriately categorize and rank your videos. In this article we will go over How to Properly Tag Youtube Videos, in order to increase discoverability and audience growth. 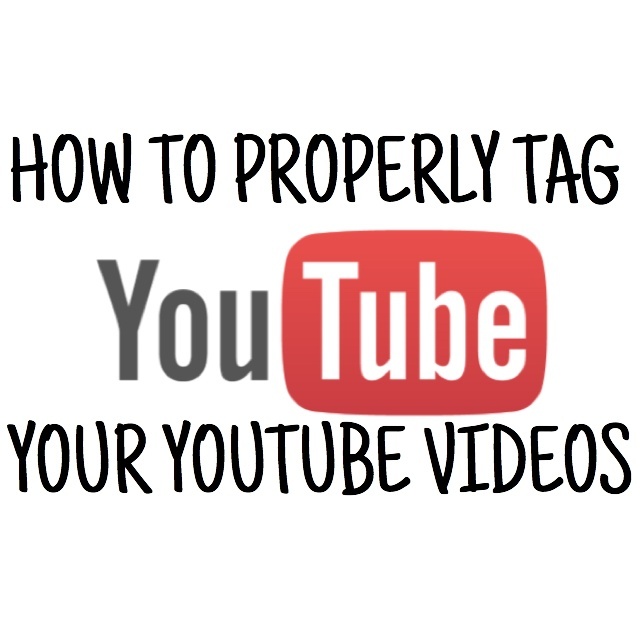 First, let us go over the types of tags that you can implement in your videos. Specific Tags: These are one-word key words that represent the main topic of your video. They topic of the video should be highlighted in the tags. On occasion, Youtube will give you pre-filled suggestions, if these pertain to the topic at hand use them. However, create a variety by using the same words in a generic way. Compound Tags: These are multiple-word tags, like long-tail keywords. A great place to start for these is to take the title of the video, removing the conjunctions & prepositions, then using it as the tag. 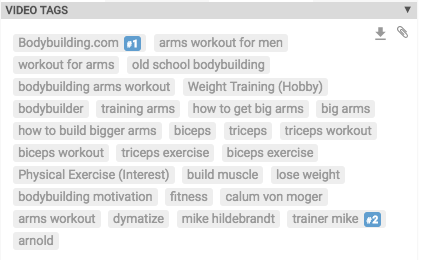 In addition, you can find compound tags by using the suggested results from the Youtube Search Bar. Misspellings: This is something not many people know about. Tags do not have to be spelled right! There are millions of searches for words that are misspelled. Grab some of that traffic for yourself and misspell generic tags to channel some traffic your way. Generic Tags: These are phrases or words like how-to, vlog, tutorial, best practices, etc. Youtube offers suggestions for these types of tags, use them to your advantage. When tagging your videos the placement of your core tags is vitally important. In the same fashion that you put your keywords at the beginning of your description to make it easier for Youtube to find them. You need to do the same with your relevant video tags. Placing them at the forefront of your tagging army will allow Youtube to quickly locate and categorize your videos with ease. Pro Tip: Rearranging your tags can be a laborious task. Take some of the difficulty out of it by placing all your tags in a text edit document, using commas to separate your list. Then simply copy & paste the new list back into your tags section. As you continue to upload videos and increase the size of your channel’s video library, there should be a level of consistency within your tags. Creating Default Tags increases your chances for showing up on the suggested results. 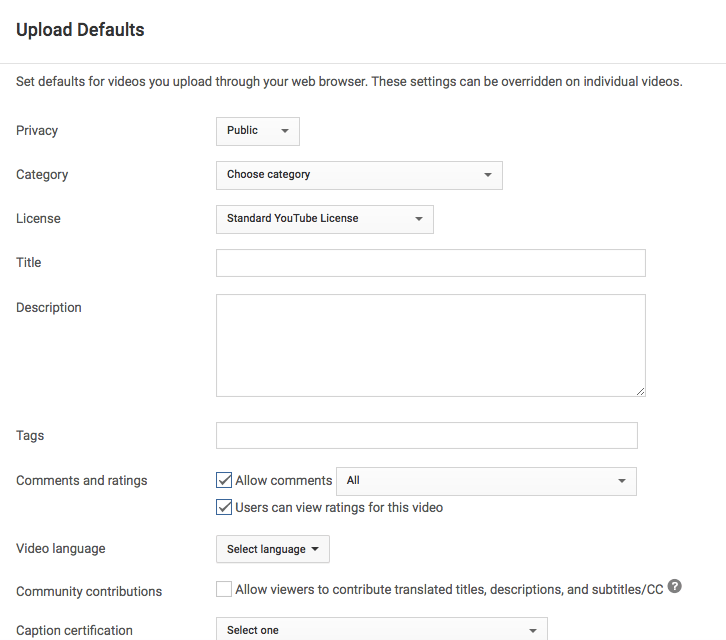 You can create Default Tags for all your videos at https://www.youtube.com/upload_defaults, this will assign the predetermined tags for all uploads excluding mobile. When uploading from mobile remember to retag the defaults. Having a hard time creating tags for your videos? Then you can utilize your resources to start tag mining. Start pulling popular tags from competitors, search results and keyword planners to create a substantial list of effective tags. A great place to get an idea of what tags to use in order to rank high is trending videos. 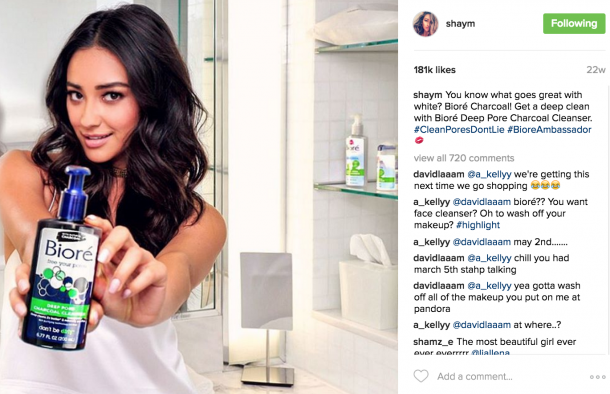 Extract the tags from influencers or competitors in your video’s niche to get a starting point. DO NOT just copy and paste their tags. Not only is is borderline copyright infringement, but in addition tags are simply used to assist in discoverability. It is the quality of content that you provide that will help you rank highest. 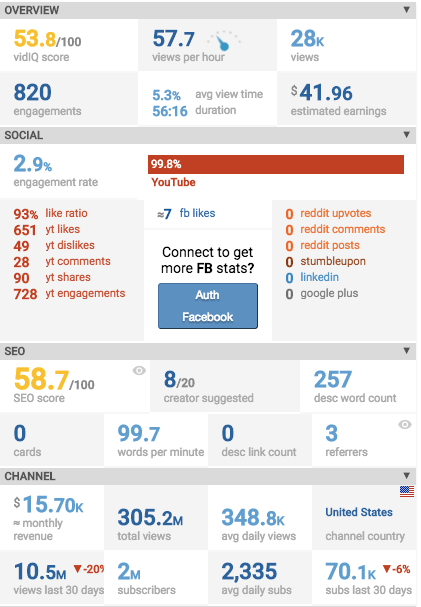 Applications like vidIQ Vision allows you to see tags as well as a plethora of stats about the video and channel. It is an extremely handy app and I highly recommend it. Want to know exactly what people are searching when you type in a key word? Well Youtube tells you! When you search a term in the Youtube Search Bar, Youtube actually recommends the most search terms. This is an excellent place to mine for tags, these results are exactly what millions of people are searching every day. If your looking for some outside help there are tons of keyword tool planners you can utilize to search for trending tags. Youtube actually provides a keyword planner for accounts that utilize the platform to advertise.